Given to us on All Saints Day, and just now being led to release this word to the body, NeWine Pouring presents VANTAGE POINT, 2014. 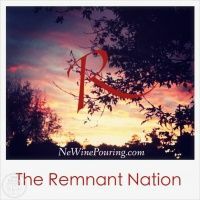 This is a word for the Body Of Christ that promotes a foundational reset, in order that we might receive all that God wants to transfer to us in this season of new beginnings and the months to come. Special prophetic word and healing ministry, towards the end of the pod cast so know, Jesus has saved the best for last.